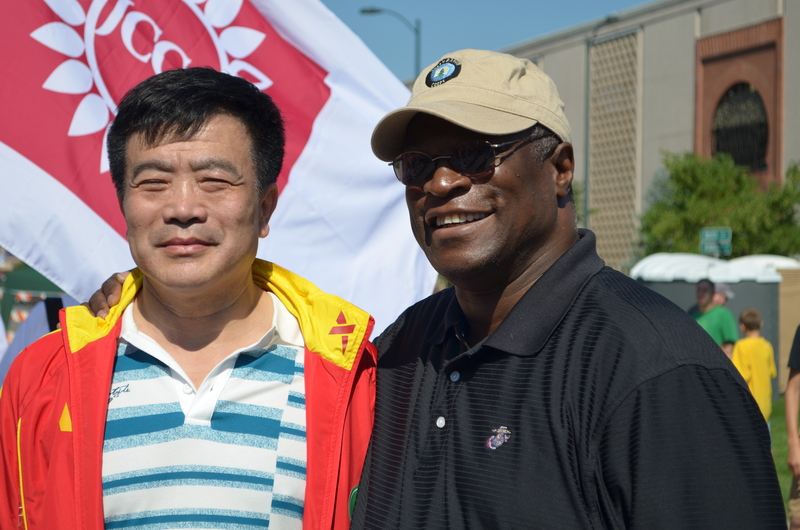 From X’ian, China, to its sister city, Kansas City, Missouri, come the Dragon Boat races, a wonderful cultural tradition. 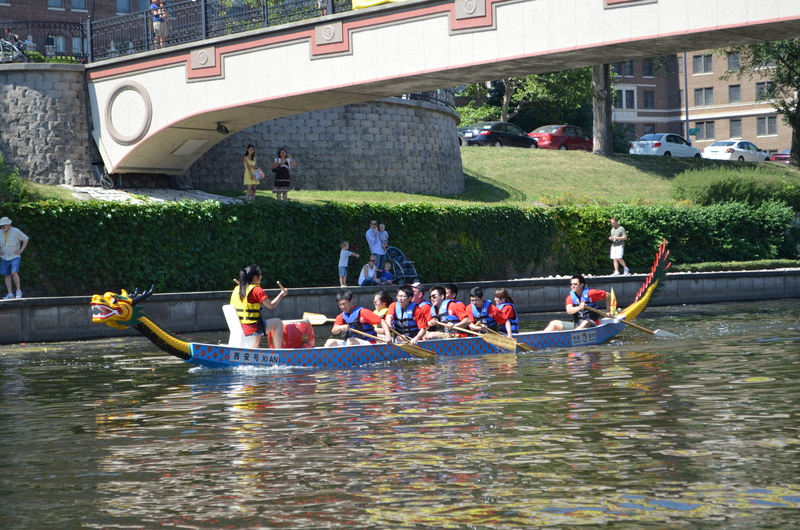 The races are held under the “Sister Cities International Bridge”, where life-sized Chinese warriors guard the foot bridge as it crosses Brush Creek. 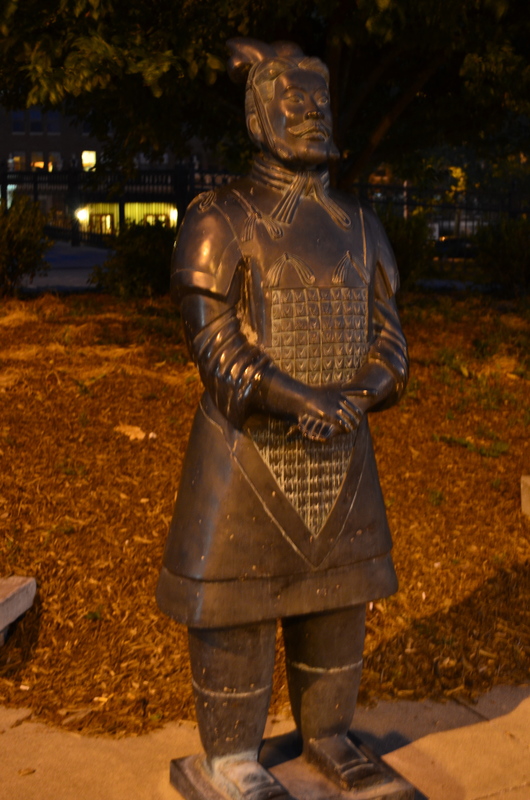 The imposing bronze warriors are symbolic of the rich culture of China’s ancient civilization as well as the friendship between our cities. 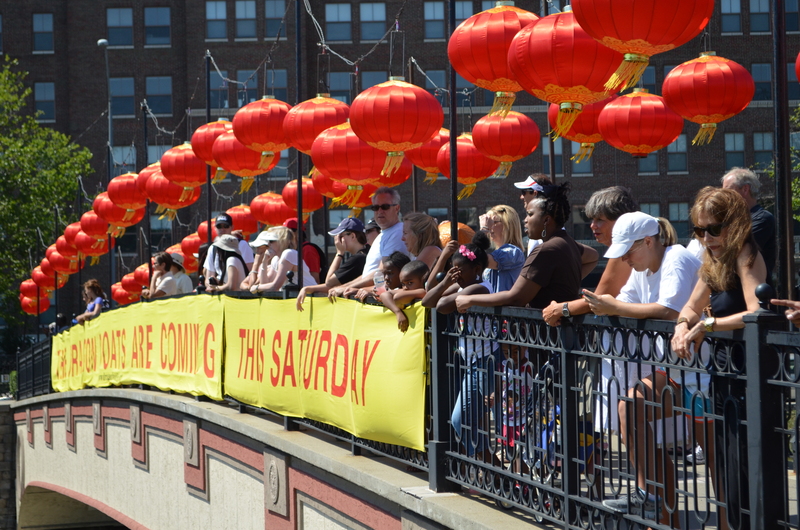 Festive red ornaments crossing the bridge announce the 12th annual Dragon Boat races held Saturday, June 9, 2012. The races are part of an annual celebration of the friendship between the people of these two cities. The celebration includes races involving local university students and corporate teams as well as representatives of China. The event includes a wonderful display of pageantry, speeches and a colorful dose of Chinese culture. 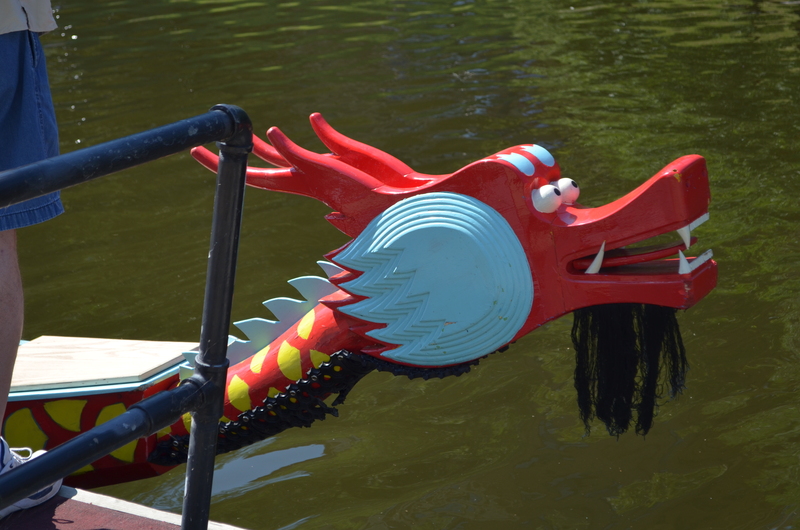 While the celebrations include a ceremony called “waking the dragon”, the dragons of most importance are the decorative dragons that embellish the front of each boat. These dragons are whimsical and colorfully painted. At this year’s event, Mayor Sly James not only greeted visitors, he spoke to the crowd, encouraged the celebrants, and also agreed to be the drummer for Kansas City’s home town team. Way to go, Sly! Here, a drummer beats the rhythm for the crew in the first race. The crew paddles as quickly, or as slowly, as the cadence of the drummer. On this happy day there were no worries about the politics of our two countries, of the balance of trade, or of jobs lost and found. It was a celebration and a time of friendship. A good time was had by all.